Our competitive SMS marketing campaigns will help you enjoy the most profitable way to enjoy unrestrained attention. SMS marketing is this valuable tool that should be used appropriately to get attention by any brand wanting to make a space in the mind of the consumer. Low retention span and 24*7 media glare has turned brands into commodities. The consumer is bombarded with information and yet wants to connect with brands. The age of communication has to build a personal connect that is visible and touches the life of the consumer with a positive impact. Whatever device that is the medium of communication for the consumer is the prospective way to get closer to the consumer. Mobile is the most ubiquitous device and can be carried anywhere without any difficulty. It is as personal as it can get through which a user interacts daily without any break. It is this valuable tool that should be used appropriately to get attention by any brand wanting to make a space in the mind of the consumer. 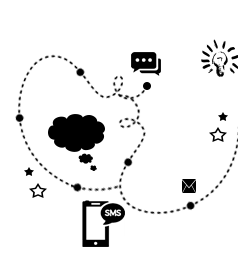 SMS marketing is getting difficult with filtering software and government regulations. You cannot make unsolicited offers to anyone and yet have a market that wants to be informed. 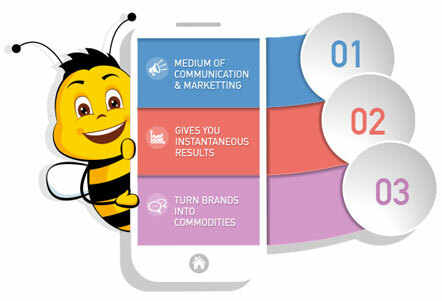 We, at Interactive Bees, are well aware of the fact that SMS marketing can get you instantaneous results. We help you understand each variable, create a compelling content and use the medium to reach to your target market in a matter of seconds. Our marketing campaigns have successfully delivered results because we build customized messages to the particular demography. Our SMS marketing services will help you enjoy the most competitive way to enjoy unrestrained attention. The customer is always busy but not as much that they cannot check their mobile phone. It’s this real estate value your brand should exploit to the hilt.